Apple has launched its latest ultra-thin 10.5-inch iPad Air and 7.9-inch iPad mini. Both devices come with Apple pencil support and have the latest A12 bionic chipset with Apple's neural engine, which is said to increase performance by 70 percent and offer nine times faster graphics than its predecessors. . The units also pack an advanced retina display with TrueTone technology. Both the new iPad mini and iPad Air will come in silver, space gray and gold color variants. The price of the new iPad Mini is Rs 34,900 for the Wi-Fi model and Rs 45,900 for the Wi-Fi + Cellular model. 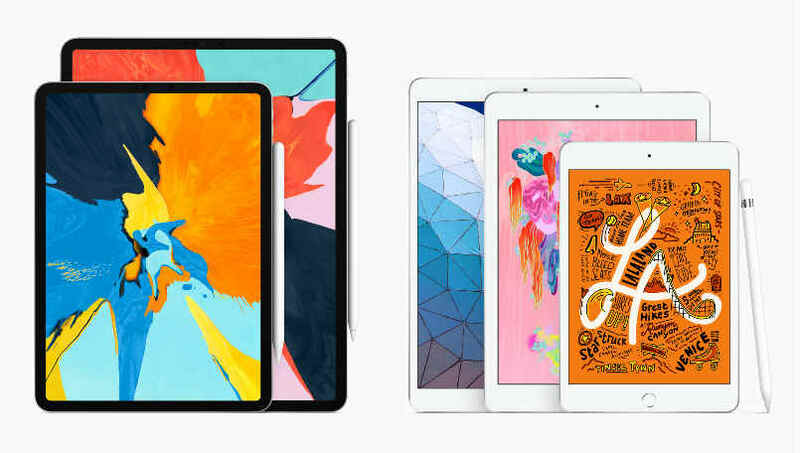 On the other hand, the 10.5-inch iPad Air comes with a starting price of Rs 44,900 for Wi-Fi models and Rs 55,900 for the Wi-Fi + Cellular model. The new iPad is available to start from today and is expected to be available in India soon. Both models will be available in 64GB and 256GB storage variants. Unlike Apple iPad Pro, the latest iPad mini still supports a Touch ID fingerprint sensor, a lightning port and a headphone jack. As mentioned above, the device is powered by A12 bionic processor, which has neural engine, which is coupled with M12 cooprocessor. On the imaging front, the Fresh iPad mini is equipped with a 8-megapixel rear camera and a 7-megapixel latertime camera. It supports e-SIM. Apart from this, the company is also selling a smart keyboard with a price label of 13,900 for the new iPad Air. It comes with fully laminated True Tone display. The panel works at 2224 x 1668 pixel resolution and provides 500 nits of brightness. The device is a direct successor to the 10.5-inch iPad Pro, which has been discontinued by the company. Front and back both camera sensors are similar to the iPad mini. The latest iPad Air is also said to give up to 10 hours of battery life.